Tina was born April 26, 1970 at the Oregon Zoo in Portland, OR. Her parents were Rosy and Thonglaw, were both wild caught as calves. Of all Tina's 16 siblings, only three are known to be alive. 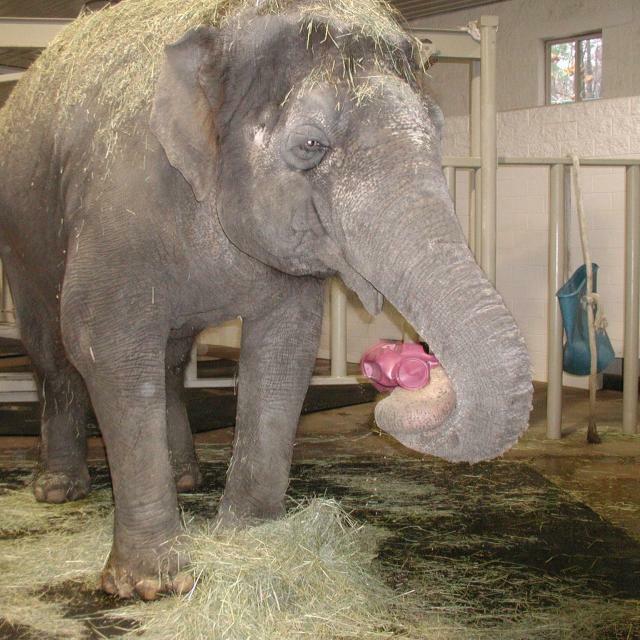 Packy, age 53 lives at the Portland Zoo, Hanako, age 53, is living at the Point Defiance Zoo in Tacoma, Washington and Cora, age 51, was sold to Ringling Brothers Barnum and Bailey Circus where she remains to this day. Cora is Tina's only surviving full-blooded sibling. 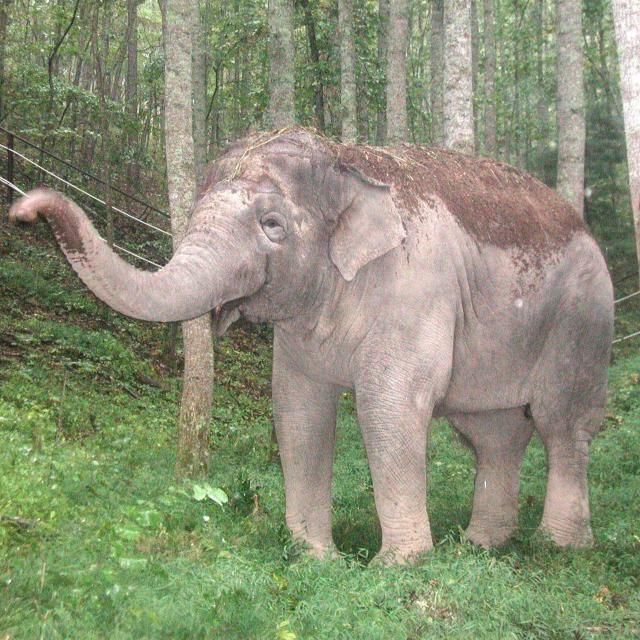 At two years of age, Tina was sold to the Vancouver Game Farm in Aldergrove, BC, Canada. With the exception of a temporary move to the breeding facility at African Lion Safari in Cambridge, Ontario, Tina lived her entire life at the Game Farm in Canada. For many years Tina lived alone at the Game Park except for a Saint Bernard dog named Susie and the occasional night when the owner's children camped out in her barn. In 1986 Tina was joined by another elephant, a young female African named Tumpe. In the Early 1990s The Game Farm sold to new owners who changed the name of the facility to The Greater Vancouver Zoo. Around this time, it was identified that Tina was overweight and was experiencing foot problems. Consultants were hired to instruct the staff on proper diet and foot care. Tina and Tumpe continued to be on exhibit together until 2002 at which time Tumpe was sent to a zoo in the United States and Tina was once again alone. After Tumpe left many recognized that Tina's environment was detrimental to her well-being. Her caring staff joined the effort to find her a more suitable place to live. 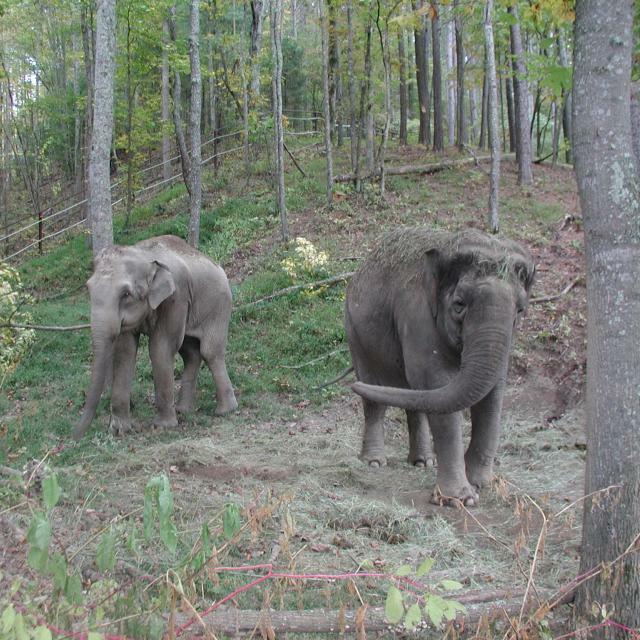 On August 11, 2003, after a 3000 mile, 3.5 day, cross-country trip, Tina arrived at the Elephant Sanctuary. 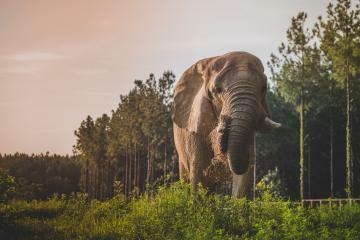 She was the eighth resident, the first Canadian, and the first captive born elephant to join the herd. In the year that followed, Tina showed progress in the healing of her diseased feet. While shy at first, she was also beginning to form a close relationship with Sissy and Winkie who stopped into the barn often to visit her. Just as everyone was optimistic that Tina would recover, symptoms of a heart condition suddenly surfaced. With little warning, on July 21, 2004, nearly one year after her arrival, Tina passed away. A necropsy was done and Tina's vet of record concluded that the cause of Tina's death was a heart problem, very possibly a genetic defect.